This time of year inspires nostalgic memories of time spent with family and friends. All the laughter, all the games, and all the animals…yes…animals. In Omaha, your holiday family time can include visiting more than 900 different species of animals at one of the world’s best zoos. Omaha’s Henry Doorly Zoo and Aquarium is home to the world’s largest indoor desert, under the world’s largest geodesic dome, above the world’s largest nocturnal exhibit, next to North America’s largest indoor rainforest. With more than seven acres of opportunity for indoor exploration, the Omaha zoo is a year-round interactive experience. Hop aboard well-preserved train cars and feel what traveling was like in the mid-1900s at The Durham Museum. Omaha’s former Union Station is now a hands-on haven for history-inspired experiences. The Durham shines brightest during the holidays with a host of seasonal events and delights, including the region’s largest indoor Christmas tree. The magic of the imagination is the cornerstone of Omaha Children’s Museum. Kids can unleash their creativity and become innovators in a world built just for them. More than 45,000 sq. ft. of hands-on learning encourages kids of all ages to explore and play. A fan favorite is the enormous Super Gravitron ball machine, where fun flies. Families love to drop in a ball, guess where it will land, and track its path. Fairytale Land whisks little ones into their own adventure when the bravest kid is called upon to grab a sword and save the trapped princess from her castle. Explore, experience and imagine during an Omaha weekend getaway. 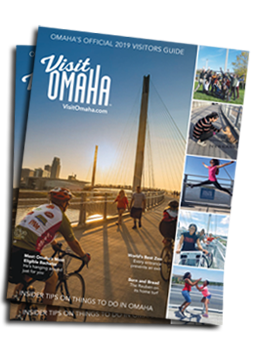 Click on the boxes below to explore more Omaha family experiences.